PSA: Before You Geotag your GoT Bar Screening Insta, Remember This! 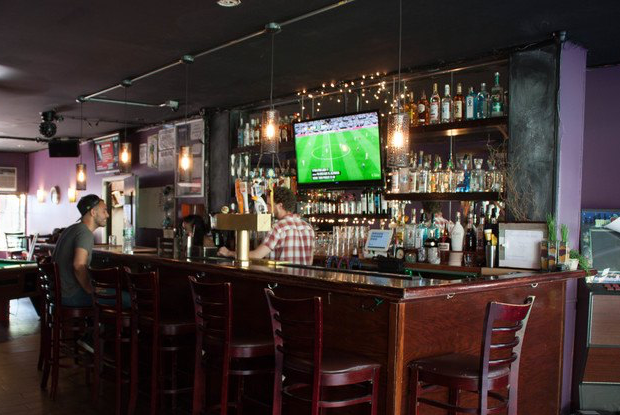 Are you a Bushwick bar patron with a penchant for TV shows who eagerly awaited the arrival of this season of Game of Thrones and who livetweets each episode every Sunday night, sometimes from inside your favorite watering hole? If you are, here's a friendly reminder not to blow up your spot. Bar screenings of beloved TV shows have long been growing in popularity, and the practice is now commonplace. Plenty of local spots delight in hosting shindigs for fans of programs ranging from RuPaul's Drag Race to Islanders games, most of which can be screened with the blessing of the television networks that produce them. If "blessing" isn't exactly the stance some networks take, at the very least, the majority of them don't actively pursue action for violations of their distribution policies insofar as bar screenings are concerned. A notable exception to this rule is HBO. If you've ever received a Cease and Desist letter via your internet provider from the industry titan for "accidentally" downloading every episode of The Sopranos, you're well aware that the company takes infringements of its distro rules seriously. The company has gone after Brooklyn bars in the past, if infrequently, and would do it again. "HBO programming is only for distribution in the home or hotel rooms. Any public display of HBO content, whether from a live feed, DVD, online source, etc., is not permitted. This is true regardless if money is being collected for the event or not," HBO explains in a statement to Bushwick Daily. Does that mean all bar screenings are at risk of being shut down? Probably not. Plenty of places are well aware of the possibility that they'll have to shut down their weekly party mid-series and many still feel comfortable promoting their screenings and offering fun stuff like themed drink specials to accompany the on-screen action—which is cool, if they're the ones making that call. But be mindful that it's possible your spot may be trying to keep their GoT events on the DL, and when you're there watching, don't broadcast where you are, so they can continue to broadcast your show. Cover: Divine Bar on Broadway hosts sports and occasionally other TV show screenings. Photo from the Bushwick Daily archives.